I’m headed to Phoenix AZ to do a but of riding. 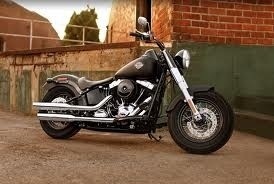 I’ll be taking a 2012 softail Slim out for the day. I have put a lot of miles on softies over the past decade and look forward to spending a full day on one as opposed to a touring model. I’m looking forward to seeing how the machine handles 300+ miles, corners and picks up with stock pieces. My softail had a 96 upgraded to a 120 so I don’t have experience on the 103 in such a small bike. Likely going to handle well. This will be a good ride! It’s 3:29 Phoenix time and the ride is sadly off. Based on the timing of the flight and the shop closing – there won’t be much riding time. This time ill sad the rental fee and try again next time in out. Separately, AZ is great riding. I’ve done lake Roosevelt and a ride to one of the reservoirs so I am a little disappointed in the way this worked out. Next time.